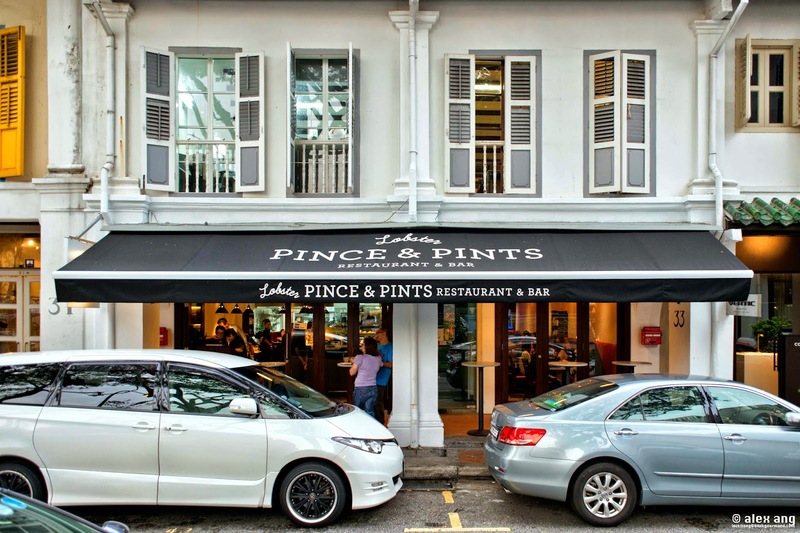 Thanks to its well-oiled PR machine, I don’t believe that there is anything about Pince & Pints (“P&P’) that you don’t already know. Occupying 2 units of black-and-red swathed shop house space, this new kid on the Duxton Road block by fresh-faced owner, Frederick Yap, is barely a month-old but it’s already making a splash among shellfish aficionados. They all come for the same thing: American lobsters (or Homarus Americanus) sourced from USA and Canada, done 5 ways (all priced at S$48 each). 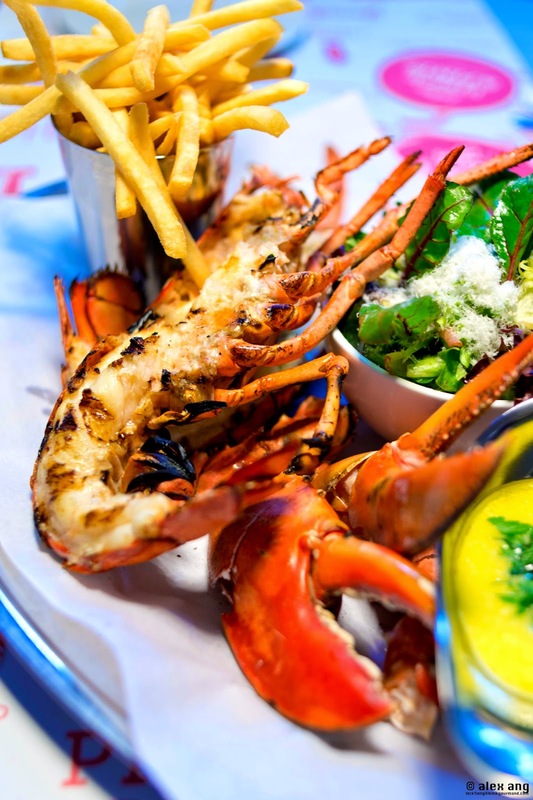 You can have the lobster whole, either steamed or grilled (we suggest you go with grill on your first try), served with shoe string fries, herbed butter sauce and a side of grated Parmesan-topped mesclun leaves drizzled with cherry balsamic dressing. For shellfish lovers, it’s undoubtedly the best way to savour the simplicity and succulence of the grilled-to-order lobsters. 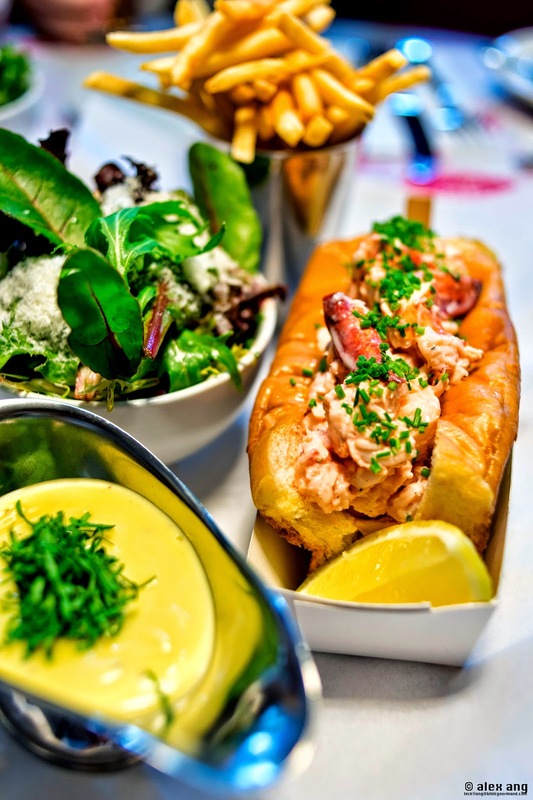 Or have lobster roll New England style, where an entire lobster (including its claws) is steamed, hand-shredded and tossed in mayonnaise. The chives-crowned lobster stuffing is as predictable as most gets but the bun is a standout. Made to order by a local bakery, the bun is pan-fried in butter to unveil a crisp and delightfully buttery profile before it embraces the voluptuous flesh of the shellfish. In case you’re wondering why it’s priced at S$48 a pop when other restaurants are selling it at prices as low as S$29, bear in mind that one whole lobster (yielding about 160g of meat) is used here and it may not be the case with the cheaper options (on that note, it’s useful to know that several restaurants out there are purchasing American lobsters from Yap). Expect the same condiments that accompany the whole grilled lobster except that a so-thick-that-it-refuses-to-pour garlic aioli for dipping fries replaces the herbed butter sauce. 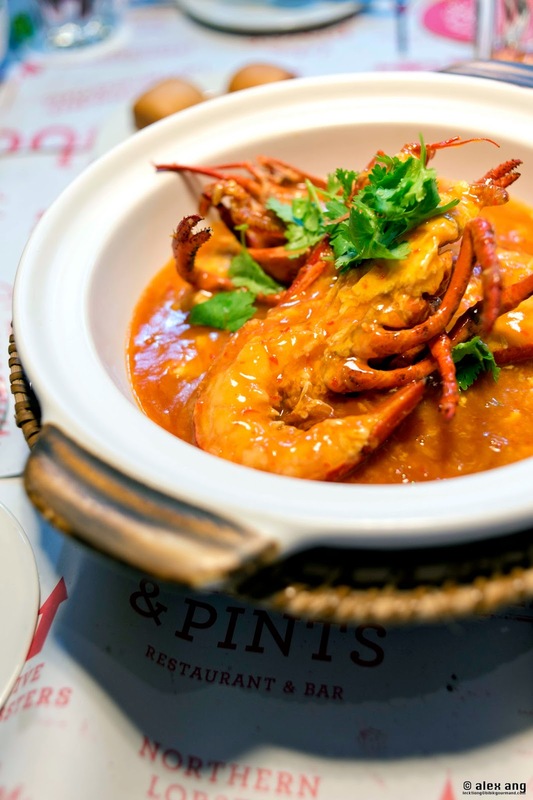 If you like it hearty and saucy, the chilli lobster dish beckons. Much like Singapore’s famed chilli crab, the lobster is served basking in a sweet and tangy (just mildly spicy) tomato-based sauce with fried man tou (Chinese buns) on the side. If you need more mantou to wipe up the intoxicating sauce, a set of 5 is available at S$3.50 each. Still hungry? You may have to hop over to Dibs or Etna for desserts. Whether you like it or not, that’s all on offer at P&P at the moment. There are talks of menu expansion to include dishes like XO sauce wok-fried lobster with rice and ee fu noodles with lobster but it’s unlikely you’ll taste these any time soon. But if you’re in the mood for drinks, it’s worthwhile chilling out at the 8-seat bar counter for the rather-extensive menu of craft beers, wines and wallet-friendly cocktails. Did we mention that P&P does not take reservations? Be here at 6pm or get ready to queue.